Qatar Airways is planning to beat Qantas longest flight record with an 18 and a half hours non-stop flight from Doha to Auckland, New Zealand. It would be a 14539km long journey , 735 km more than the current Sydney to Dallas record. Will definitely sell more seats in Business class. 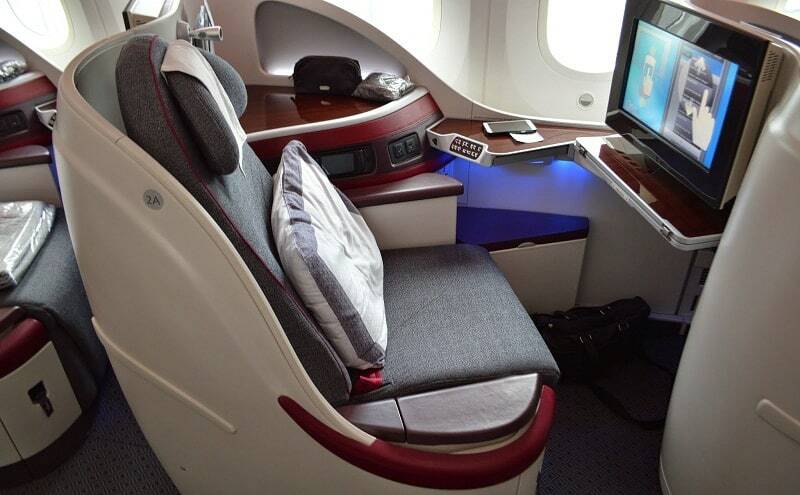 ( below Qatar Airways’ business class in Boeing787). Almost 8 years after Flight paper tickets are in history ( see one below), Deutsche Bahn will change the paper tickets with electronic. They will boost an app, which would facilitate the process. The low-cost airline Thai Smile Airways books seats for dolls. It is a result of the increasing number of people buying baby-sized dolls due to their religious beliefs. 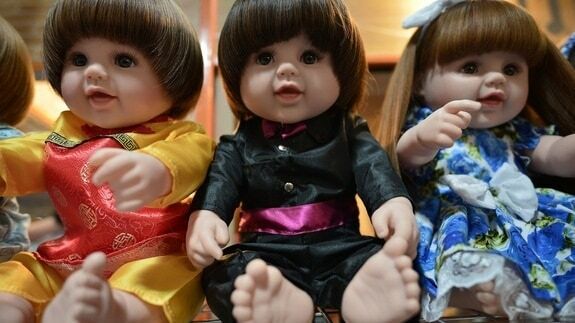 They call them supernatural “angel child” dolls. Obama Administration keeps on making it easier for trade and travel to Cuba. 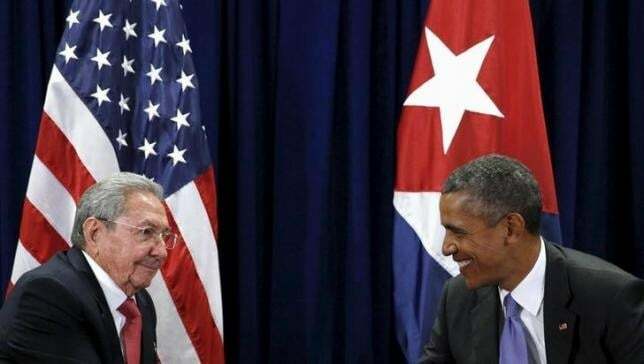 The US president admits he wants to visit Havana, before he leaves The White House.Obama with Cuba’s President Raul Castro at the United Nations headquarters on Sept. 2015. American Airlines not only claims that their profit for 2015 is higher than ever, but highest in the history of civil aviation. 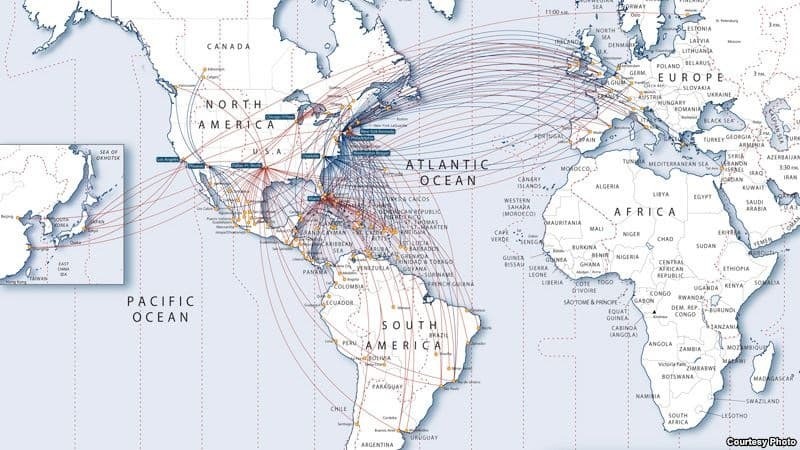 Here is the AA flight map, which pretty much covers the globe.